Now-a-days more and more companies, from small to big are moving into remote staffing. Remote staffing is all about hiring remote employees at a fraction of cost compared to in-house employees. It not only helps to save money but helps to gain global exposure. The reasons why business enterprises are looking for such services revolve around mostly on economic factors. Remote Staffing reduces the need for office space hence induces cost cutting, adds on to flexibility in work schedules, reduces hassle with the usage of technology etc. Whether a company is a start-up or an established one, there’s certainly more ground for improvement with regards to remote staffing services. Let’s discuss the top reasons why one should consider taking advantage of remote staffing innovation. A team of virtual staff helps to fulfill tasks at a limited frame of time. If a certain assignment needs to be completed, one can just assign a deadline with a level of urgency and can expect it to be completed within the allotted time frame. An enterprise can be overburdened with many projects at one time. And in such instances remote staffing comes as a rescuer. It not only saves on time but it’s a cost friendly way of acquiring results in the desired time. Hiring employees is a meticulous process of filtering the right candidate that involves a lot of time. In order to deliver urgent projects within a short span of time, one may not follow that process to pick the right candidate. This can be eliminated if one opts for remote hiring since an outsourcing company can take care of this easily and in no time. The need for a remote staffing team arises when you notice that you no longer enough time and space at work. Hiring such a team is the perfect solution for each time you get overwhelmed by the numerous tasks that sometimes need to be done simultaneously. That’s where Gapeseed’s services save you. Gapeseed Facility and Management Services offers Remote Staffing, Temporary & Permanent Solutions to International or national businesses expanding in India. Gapeseed offers a low cost human resource outsourcing solution to ease small and mid-sized businesses by introducing an extension to the traditional form of outsourcing i.e. remote staffing. The solution lets you delegate most of the duties to a competent virtual team which further gets you time to pursue other fields to focus on like other tasks, side projects etc. Our Remotely Managed Services are available for Foreign Corridors, MNCs expanding to India and national corporations which are expanding or intend to expand in various states of India. Gapeseed acts as a foreign subsidiary for its clients. As per the requirement, the client can simply hire one remote employee on part-time employee leasing basis or a team on full-time leasing basis. This facility is like an extension to your own office. The dedicated offshore remote staffing facility leverages Gapeseed’s technical infrastructure, processes and execution capabilities. Gapeseed Consulting provides its clients with daily range of reports designed to allow them to easily monitor remote staff’s productivity. The reports are logged into a web-based application systematically so that the offshore employer/client can run reports on any range of dates. Through these reports the client can find out the status of the job assigned. This further helps the companies to calculate the efficiency of each low cost offshore employee and compare them with the rest of the in-house employees. With Gapeseed’s advance technology system, management tasks by quantifying data, processing them and keeping them safe gets easier. The system is potent enough to never give a chance to employers/clients to complain about data loss. Not only just the security of the data, accessing restrictions can be set through the system, performances can be monitored and our clients get the entire charge to maintain exclusive control and access to the system. Setting up a Business in India is considered a challenge but it is not the difficult when you know the facts right, possess the required documents and work as per the defined procedures. 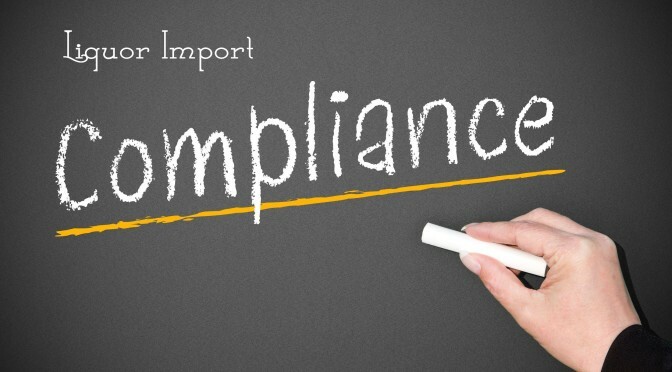 In this post we will be covering the details of liquor import compliance for setting up a business in India with a perspective on Import and Trade of Alcoholic Beverages. We will be detailing the Treatment of Excise Duty for Import and Trade of Alchoholic Beverages in India. After registering the firm’s name, a rental agreement with the premise owner must be established. Necessary stamp duty is paid for executing the rental agreement. This agreement is furnished to various government authorities for the firm’s address registration. In case the premise is self-owned and the firm is a proprietorship concern, no separate rental agreement needs to be arranged; the sale agreement deed of said premise is treated as a proof of address. However, in case of running a partnership firm in self-owned premises, a rental agreement with other partners must be entered into with. Separate permanent account number for individual and firm is required to be registered with income tax department. PAN enables the department to link all transactions of the “person” with the department. These transactions include tax payments, TDS/TCS credits, returns of income/wealth/gift/FBT, specified transactions, correspondence, and so on. PAN, thus, acts as an identifier for the “person” with the tax department. Is individual PAN number sufficient for firm name? How to obtain a PAN number for Proprietor, Partnership or Private limited company? This is one of the most common questions among the people who are setting up a business. In case the business is a sole proprietorship, the PAN number of the individual/ proprietor is sufficient. In case, the firm is a partnership firm, a separate permanent account number – PAN in the name of firm is required to be obtained from Income Tax Department. While applying for the said PAN number in the name of company, a copy of individual PAN number of each partner has to be furnished in the application form. And if you are setting up a private/ public limited company, a separate PAN number in the name of the firm is required. While applying, a copy of PAN number of each director of the company must be furnished along with the application form. If your firm is engaged in a partnership, you need to a have a partnership agreement between partners with terms and conditions as per partnership Act. The complete details of terms and conditions among partners with share of profit are mentioned clearly in the agreement. For safekeeping, the partnership agreement must be registered with the authorities to settle dispute among partners if arises in future. For Setting up a Business in India, a current account is the type of account which is should be opened by any company in order to operate as per the Companies Act, 1956. An account for availing the inward/ outward remittances must be opened in such a bank which has Trade Service expertise with a deep understanding of regulatory requirements. How to obtain an IEC number with DGFT with branch code? Since this post is about the Import- Export aspect of Setting up a Business in India. Let us check the details on that. An IEC or “Importer Exporter Code” number is mandatory to import or export in India. No person or entity shall make any Import or Export without IEC Code Number which is obtained from Director General of Foreign trade within the jurisdiction office of the company. Without an IEC code, no movement of goods from/to the country to outside is allowed. Directorate General of Foreign Trade (DGFT) issued a Policy Circular No.15 (RE-2006)/2004-2009 Date: 27th July, 2006) for New System for issuance of Importer-Exporter Code Number. Eligibility condition and Legal Provisions are given for IEC Code Number Application in Foreign Trade (Regulation) Rules, 1993 Ministry of Commerce, and Notification No. GSR 791 (E), dated 30-12-1993. An application for grant of IEC number shall be made by the Registered/Head Office of the applicant and apply to the nearest Regional Authority of Directorate General Foreign Trade, the Registered office in case of company and Head office in case of others, falls in the ‘Aayaat Niryaat Form – ANF2A’ and shall be accompanied by documents prescribed therein. In case of STPI/ EHTP/ BTP units, the Regional Offices of the DGFT having jurisdiction over the district in which the Registered/ Head Office of the STPI unit is located shall issue or amend the IECs. 1. Bank receipt / demand draft against application fee. This fee is INR 1000.00 while writing this article. You may re-clarify with DGFT before applying. 2. Application form in prescribed format issued by DGFT for issue of Import Export Code number. This application for is prescribed in Appendix 21B.2. 3. Please attest the application for IEC with you banker where in you have opened current account in the name of firm to operate export import activities. 4. Self attested copy of Permanent Account Number PAN issued by income tax authorities. 5. Two copies of passport size photographs of the applicant. You need to attest the said passport size photographs with your authorized bank. 6. If any partner or partners are non resident interest or holding in the firm or company exists with repatriation benefits, you need to attach a self certified copy of Reserve Bank of India approval on the same. they may gradually ask assistance from an outsourcing company to manage the business swiftly. Start-ups and SMEs cannot always afford hiring new employees who can take care of the various business functions like customer services, travel desk assistance, bookkeeping, accounting duties and other related day-to-day tasks. Therefore, outsourcing the core processes makes it more cost effective and enables them to focus more on business development and invention of new ideas through which the business can be expanded further. To ease up your burden, this is where our Business Support Services comes in and allows businesses to save money and provide outstanding services. So, let us explore the basic business support services that are required to run a business smoothly and how Gapeseed Consulting can take care of each one of them diligently. Travelling for business purposes is very common irrespective of the size of the business/ company. It could be attending a meeting abroad or arranging a small workshop for partners in some other city but managing business travel can affect your company’s budget if you don’t plan it well. In most cases, small businesses spend more on travel than large corporations. This is due to the fact that most small businesses lack a streamlined travel expense system. That’s where the Business Support Services of Gapeseed Consulting hop in. When you choose us, we will not only help to arrange for your business travel, we will help you track and manage your budget so you can maintain a healthy bottom line. When you become our client, a dedicated professional/ account managed from Gapeseed Consulting will work for you to book flights, hotel rooms, transportation, visa assistance and other services that fit your budget and meet your company’s needs. Corporate travel and accommodation – Organizing National and International trips for employees/clients. Management of Visa requirement – Organizing Visas, Visa Services to International Expats, travel insurances etc. Delegate administration – Bookings, joining instructions with venue maps etc. 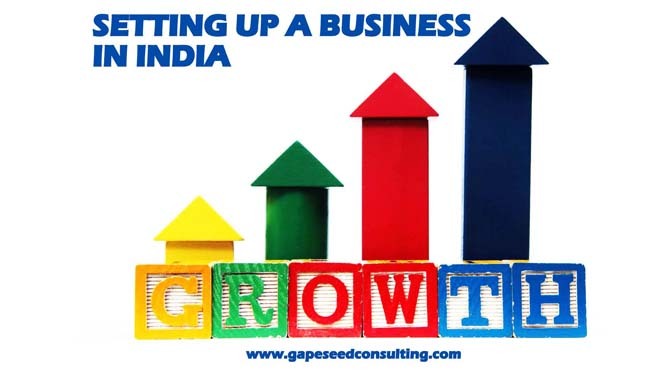 At Gapeseed, we offer host of business support services related to complete business set-up, be it in India or abroad. Our experienced professional team specializes in advising the right kind of business set-up keeping in view your business need and the necessary tax aspect. Our bouquet of services covers from initial market study to post setup support for operational optimization. Services like taking care of approvals, legal compliances, registrations with authorities and all this in minimal time duration. We walk the complete path of setting up business with our clients in a smooth manner till they establish and enforce complete implementation. Managing a foreign office in India can involve a lot of risks if you don’t have the right kind of people working for it. So it’s very important to take care of employees that you are hiring. Staffing for foreign corridors in India is an uphill task as we have to act as the Employer Brand and the ambassador both and that is the reason we included Managing a foreign office in India as a part of Business Support Services at Gapeseed Consulting. You need to have facts with employee background checks, you need to have resources to help you uncover records, employment education verification, paying employees at the right time, management etc. 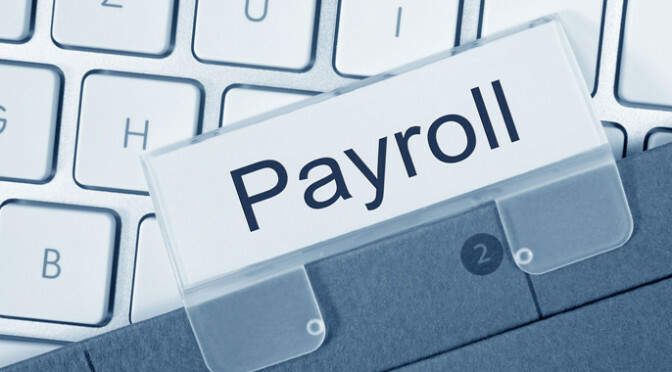 Payroll isn’t just about paying your people. It’s about maximizing the productivity of any organization. Gapeseed Consulting Services helps to maximize the productivity of a company by channelizing timely and accurate salary processing, efficiently handling the reimbursements, managing loans and advances and government of India statutory requirements including all PF and TDS. We provide complete HR Payroll solutions to our clients/enterprises. A better management helps in streamlining processes, supporting employee work-cycle, lowering risks related to compliance and penalties etc. The pace with which technology is changing and its effects on an organization is alarming. To keep their businesses on track with latest technology and solutions, an organization may either have to update their old systems with newer ones or replace them with new products from other vendors. This migration process needs certain expertise in planning and execution. To fill this gap, Gapeseed’s system integration process steps in. Our integration services team includes various software, hardware and functional experts who can easily plan and execute this kind of migration without disturbing existing business activities of the clients. Our approach involves analysis of existing processes, understanding existing pain areas and then taking care of them via new and improved processes and technology solutions. Excellent implementation and support services help the client to concentrate on their business rather than handling day-to-day operational issues of the software. Easy integration of different systems helps into optimized business processes and functions. Customized solutions help customers get only those modules which are required for its business and internal activities. Gapeseed Consulting comes with the expertise of directors and consultants who have handled many turnkey projects with international corridors. The need of Business Support Services emerged from that very domain only and we are most certain of the support we offer. Gapeseed Facility & Management Services is a vertical of Gapeseed Consulting where in we provide HR solutions – right from staffing, recruitment, training and payroll management. Systems for effective Payroll Management. 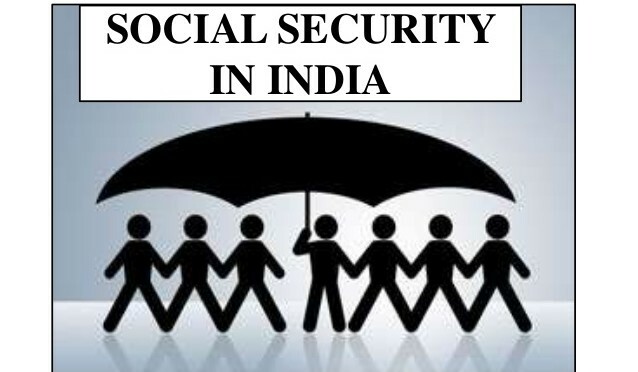 The social security system in India is controlled by the government and applies to only a small portion of the popular. The social security system includes not just an insurance payment of premiums into government funds, but also lump sum employer obligations. It is significant to understand the Social Security Systems for effective Payroll Management. The Employees’ Provident Funds & Miscellaneous Provisions Act, 1952 (EPF & MP Act) which applies to specific scheduled factories and establishments employing 20 or more employees and ensures terminal benefits to provident fund, superannuation pension, and family pension in case of death during service. Separate laws exist for similar benefits for the workers in the coal mines and tea plantations. The Employees’ State Insurance Act, 1948 (ESI Act) which covers factories and establishments with 10 or more employees and provides for comprehensive medical care to the employees and their families as well as cash benefits during sickness and maternity, and monthly payments in case of death or disablement. The Maternity Benefit Act, 1961 (M.B. Act), which provides for 12 weeks wages during maternity as well as paid leave in certain other related contingencies. The Payment of Gratuity Act, 1972 (P.G. Act), which provides 15 days wages for each year of service to employees who have worked for five years or more in establishments having a minimum of 10 workers. The Employees’ Compensation Act, 1923 (WC Act), which requires payment of compensation to the workman or his family in cases of employment related injuries resulting in death or disability. The payroll management system differs at different levels depending upon the industry, the type of business entity, the state rules & regulations which applicable to the company etc. Here are the details on the following Social Insurances as applicable in the Payroll Management Systems of almost all large corporate houses. The Employees’ Provident Fund Organization, under the Ministry of Labor and Employment, ensures superannuation pension and family pension in case of death during service. Presently only about 35 million out of a labor force of 400 million have access to formal social security in the form of old-age income protection. Out of these 35 million, 26 million workers are members of the Employees’ Provident Fund Organization, which comprises private sector workers, civil servants, military personnel and employees of State Public Sector Undertakings. The schemes under the Employees’ Provident Fund Organization apply to businesses with at least 20 employees. Contributions to the Employees’ Provident Fund Scheme are obligatory for both the employer and the employee when the employee is earning up to INR 6,500 per month and voluntary when the employee earns more than this amount. The Employees’ Provident Fund Scheme is contributed to by the employer (1.67-3.67 percent) and the employee (10-12 percent). The Employee Pension Scheme is contributed to by the employer (8.33 percent) and the government (1.16 percent), but not the employee. • Finally, the Employees’ Deposit Linked Insurance Scheme is contributed to by the employer (0.5 percent) only. In addition, there are separate pension funds for civil servants, workers employed in coal mines and tea plantations in the State of Assam, and for seamen. India has a national health service, but this does not include free medical care for the whole population. The Employees’ State Insurance Act creates a fund to provide medical care to the employees and their families, as well as cash benefits during sickness and maternity and monthly payments in case of death or disablement for those working in factories and establishments with 10 or more employees. In case of sick leave, the employer will pay half salary to the employees covered under the Employee’s State Insurance Act. The Workmen’s Compensation Act requires the employer to pay compensation to employees or their families in cases of employment related injuries resulting in death or disability. In addition, workers employed in certain types of occupations are exposed to the risk of contracting certain diseases, which are peculiar and inherent to those occupations. A worker contracting an occupational disease is deemed to have suffered an accident out of and in the course of employment and the employer is liable to pay compensation for the same. Occupational diseases have been defined in the Workmen Compensation Act in parts A, B and C of Schedule III. a. Death: 50% of the monthly wage multiplied by the relevant factor (age) or an amount of INR 80,000/- whichever is more. b. Total permanent disablement: 60% of the monthly wage multiplied by the relevant factor (age) or an amount of INR 90,000/- whichever is more. c. The Compensation Act also includes stipulations for partial permanent disablement and temporary disablement (total or partial). For establishments with ten or more employees, the Payment of Gratuity Act requires the payment of 15 days of additional wages for each year of service to employees who have worked at a company for five years or more. The Maternity Benefit Act requires an employer to offer 12 weeks wages during maternity as well as paid leave in certain other connected contingencies. Every woman shall be entitled to, and her employer shall be liable for, the payment of maternity benefit at the rate of the average daily wage (the average of the woman’s wages payable to her for the days on which she has worked during the period of three calendar months immediately preceding the date from which she is absent on account of maternity), including the day of her delivery and for the six weeks immediately following that day. The maximum period for which any woman shall be entitled to maternity benefit shall be 12 weeks, six weeks up to and including the day of her delivery, and six weeks immediately following that day. During the one month proceeding the period of six weeks before her expected delivery or any period during that six week period for which she does not take a leave of absence, no pregnant woman shall be required by her employer to do any work that is arduous, involves long hours of standing or is in any way likely to interfere with her pregnancy or otherwise adversely affect her health. Any woman working in an organization and allowed to maternity benefit may give written notice to her employer stating that her maternity benefit and any other benefits to which she may be entitled may be paid to her or to anyone she nominates in the notice, and that she will not work in any establishment during the period for which she receives maternity benefit. On receipt of the notice, the company shall authorize the employee to absent herself from the company until the end of six week period following the day of her delivery. The maternity benefit for the period preceding the date of her expected delivery shall be paid in advance by the company to the employee after having confirmed that she is pregnant. The amount due for the subsequent period shall be paid by the employer to the employee within 48 hours of the child’s birth. In addition to the above, the act states that no company shall deliberately employ a woman in any organization during the six weeks immediately following the day of her delivery or her miscarriage. No company shall compel its female employees to do tasks of a laborious nature or tasks that involve long hours of standing or which in any way are likely to interfere with her pregnancy or the normal development of the foetus, or are likely to cause her miscarriage or otherwise adversely affect her health. It is very important to understand the Social Security Systems for Effective Payroll Management. The latter should be developed keeping in consideration the former. Payroll Management Systems are also significant for SMEs and Small Business for transparent and influencing Employer Branding. For better understanding on our Payroll Services, you can download the Free Guide to Payroll Management. Outsourced Accounting Services: Turn on the key systems to enhance the growth of your business. Whether you deal in manufacturing goods or own a chain of hotels, whether you specialize in fashion retail or any other business, your company has to find a way to manage its systems.And by systems we mean, the two most important ones – technology and accounting. You can’t stop moving forward and expect your business to move ahead. In order to see progress in its growth, you will have to keep your system updated. Relying on outdated technology and accounting system can impact your business’ bottom line. Does outsourcing accounting functions or technology consultation make sense for your business? The answer can be confusing but not when you know the advantages of hiring an outside company to manage your needs! A major advantage associated with outsourced accounting services is the cost-effectiveness of the services. When you outsource, not only can you match the work hours/amount of projects to your needs, but also you can avoid employee expenses like insurance, payroll taxes, unemployment taxes, etc. You can save on providing a work space or system to the employee. A huge amount can also be saved up on operational costs and channelized towards the funding of core business processes. When you hire a service provider you can be confident enough that they will offer you nothing but specialized services. With perfect resources for handling projects methodically, they indeed become an integral part of your business. Also, with the growing competition, any service provider constantly hones their skills to keep up with the industry, thereby increasing the quality of the services. This means when you hire one of the providers, you can trust that your accounting will be handled well. Outsourcing accounting services can be quite beneficial when it comes to generating accurate results. This, in turn, ensures better management of back office functions. 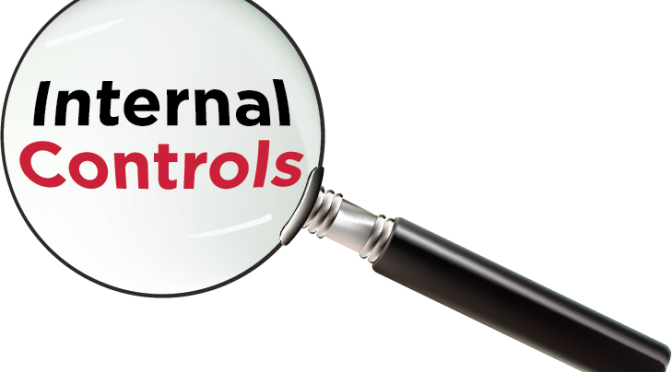 The accuracy in fact helps to control any possible fraud within or outside the organization. The service providers are accountable for every transaction processing as well as quality and accuracy control. Technology has grown to an all-encompassing status within nearly every industry. Consumers have adopted an always-connected lifestyle and businesses have kept up with demand by becoming connected as well. It’s this connection between businesses and their customers which drives modern consumerism and those with upgraded technology can maintain this connection strongly. With proper services from providers, this continually advancing technology can be harnessed to push your business ahead of those who don’t utilize it effectively. Choosing business or accounting software isn’t any easy and different business have different needs. Whatever your needs may be, expert from the industry can easily help you with the accounting and the technology experience, making it easy for you to choose, install and maintain your company’s software. From start to finish, the consultants can help you determine which services you need to optimize the performance of your technology systems, whether you need assistance with installing accounting software and training your staff or turn-key programming and custom networking solutions. Think of the weekly hours it will take to manage in installing software—taking away from the time you can spend on business and relationship building activities more directly aligned with the growth of the company. Outsourced Accounting services improve this need of time optimization. You don’t have to deal with all the complexity involved with technological systems because that’s what the service provider will handle. That means you get time to focus on business & revenues that matters the most. So, if you have understood the significance and benefits of outsourced accounting services for technology and business accounting, it’s time you get in touch with us. Gapeseed Consulting offers a full range of services designed to keep your critical business systems working for you. Our certified information technology and finance consultants can help you determine which services you need to optimize the performance of your technology or accounting systems, whether you need assistance with installing accounting software or custom networking solutions among other services. Irrespective of the industry, we offer personalized services based on the requirements of our clients. Whether you are seeking a partner/an associate for Outsourcing Accounting Services or you want to update the existing accounting system by bringing in technological know how , get in touch with us. Can be a task but not when you have the taskmaster. assessed as per the ethics and familiarize them fully about the licensing as well as the registration requirements, it is very much possible. Gapeseed Consulting aims to offer the most appropriate services to you right from the beginning until you entirely settle the business of your preference. Whether you are looking to expand your existing operations in the country or planning to set up outside, we provide a one-stop solution to thoroughly take care of all the intricacies involved in the process. Besides our competence in accounting and tax, our strength lies in the ability to be your business and commercial adviser and managing your entire set up plan. Right from conceptualisation phase to being your implementation partner, acquisitions and joint ventures, we take care of it all. Our consultants can also help you with talent management, payroll services and day-to-day business management services. Our experience that has been gained over the years can facilitate you to get an edge and know-how to help you out in the most effective manner. Our team of professionals can guide you at every significant stage before you can set-up your business. Our consultants will offer adequate information that covers business environment, social norms, taxation policies, and insurance amid other necessary information required for setting up a business in India. Once your business is set up, we can even take care of your book-keeping, payroll, management reporting and compliance requirements. With years of experience, we can add value to your expansion plan by looking after these functions while you focus on your business. Based on your business size, your needs may differ – we customise our services to your requirements. We can help you at any stage of your entry plan. We will share our knowledge and design a package of services that is relevant specifically to your business. Our experience, practical and commercial understanding of the process will help you to set your own business successfully. It could be a company, a branch, a partnership firm or proprietorship. In today’s world setting up a business and making investment generally do not require any approval and is covered under the automatic route. However, in case of some industries approval is required for setting up business. We provide services for obtaining approvals; for formulating strategy and for mode of business setup etc. We can assist you with all that needs to be done while entering business world – right from liaising with a market research firm, pre-investment advisory on available opportunities, validating your business plan, selecting the correct form of entity, providing regulatory and tax advisory or getting you in touch with the right people, right vendors and more. But our job doesn’t get over just there. Once your business is set up, you can rely on us for book-keeping, payroll, management reporting, company secretarial and compliance requirements. For availing business set-up services offered at Gapeseed Consulting, you can either call or e-mail us at info@gapeseedconsulting.com. As soon as you contact us, our representative would get back to you with appropriate quote for the services offered. For more details, you can download the Free Guide on Setting up a Business in India from the resource section. Corporate events or workshops or conferences bring together your employees and clients together and for the overall growth of any organization such meets are extremely important. 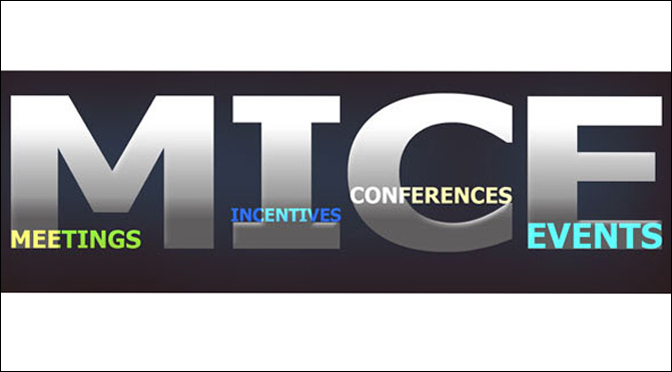 But organizing such events or any of M.I.C.E services at times not only becomes hectic or chaotic, if not implemented well it can end up being the most unorganized one! But when referring to business profits, one of the really important things is cost cutting. With this in mind, it is obvious that any organization will try to organize a business event alone, without the help of any professional event management company. This makes sense, but not completely. You may save on those extra services but this almost always brings in a lower result than what the professional can offer. And that’s where Gapeseed comes for your rescue. We do events not just in Delhi NCR but across the country. Whether you plan to stage a small workshop or a large scale conference, whether you host an event in India or in foreign countries, we can produce and manage the complete event for you – right from the initial concept planning, venue selection, hospitality to post event analysis. And the commercials will be according to your budget. Our approach is very simple – it is customized. We are experts. We deliver end-to-end services. From the smallest group meeting to the largest live event, our team of experts can plan and deliver flawless logistics, organize unique event concepts, design memorable content and deliver high impact production environment. In short we provide end-to-end services competently. A special team of professionals are assigned to take up the task, so you save on time, cost and conversation. We believe that detailed and overall project planning is vital to the success of any event, as it ensures that no details are missed and the time spent on the event is 100% productive and therefore value for money. The experience which our team has earned over years while working with German corridors or with the Japanese expats – gives us the edge over others in delivering just what you seek. So if you are looking for MICE Services in Delhi or rest of India, we are just a call away. This is a huge reason why you should seriously consider Gapeseed. The connections we guarantee ensure that your event will be of a higher quality. And not only our professionals will help you organize the most planned event, they will ensure that you save money – which is one thing you most likely did not know. We have contracts signed with different service providers which mean we will get you better prices when compared with what you would be offered at an individual level. 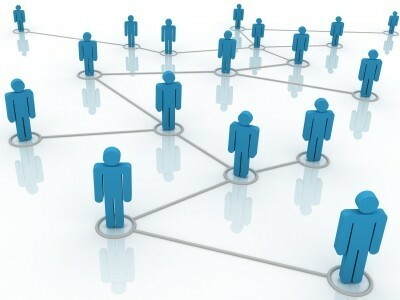 The connections that we have built over the years will help you take advantage of great services at minimum cost. For instance, may be you can get a diner hall with a ready decoration or with required itinerary without having to pay anything extra for it. Promote your event. Make it a success. Post organizing an event the next step is to promote it thoroughly. It is much more difficult than you may believe at first glance. The event can be a failure if you are not going to have people who can attend it. We know exactly what has to be done in order to guarantee success for your events due to the fact that we realize how to properly promote them. Be it following up with clients for their acknowledgment or following up with your employees for prompt suggestions or feedback. We do it all. If necessary or if it’s a large scale event, we even go to that extend of promoting it through newspaper ads to online promotional channels. We then actually take care of the entire marketing campaign to promote the events. Designing and managing bespoke events requires both creativity and expertise. Gapeseed guarantees fresh ideas, a flexible approach and services which are efficient and reliable. Our expertise means we budget efficiently, plan accurately and leave nothing to chance. Posted on February 27, 2016 May 10, 2017 Author adminCategories BlogTags HR management services in India, HR Services in Delhi, Salary Structure Design, Taxation Services in New DelhiLeave a comment on Hire Gapeseed Consulting for M.I.C.E Services?